Shop for yourself and support Bishop Foley Catholic! 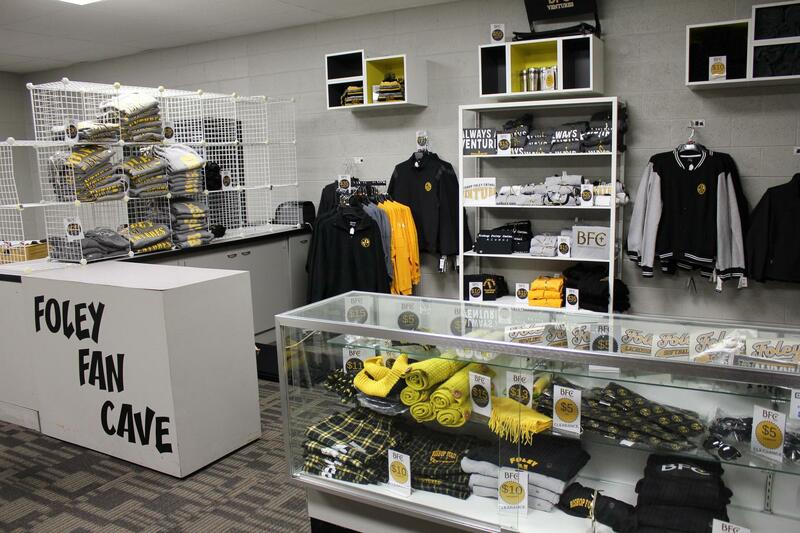 The Spirit Shop is the spot to go for all of your gold and black gear. A wide range of items are available including apparel, sporting event gear, car decals, accessories, and much more. Prices start as low as $5. The store is located in the Fan Cave, across the hall from the gym. Note: Hours are subject to change. Store maybe open during home sporting events. If you can't make it to campus, shop our online store 24x7! A wide variety of merchandise is available featuring brands such as: Nike, Under Armour, New Era, and more.